Thank-you for watching Abundant Life Broadcasting, Channel 27. This humble station is the result of many miracles, and has been broadcasting since 1995 to the northern Sacramento area. We want to continue program quality and reception, but we need your help. To keep this station on the air 24 hours a day, it only costs $2300 per month or that’s $76.66 a day. We take no advertising and since this is a volunteer mission, we need your help to pay the electricity and tower rental. It is tempting to wish that viewers just automatically knew about our needs and responded with overwhelming generosity! However, the Bible tells us to ask and we shall receive! Philippines 4:15-17 says that there are blessings attached to giving for those who are able to respond. We believe that God does have His hand on the ministry of Abundant Life Broadcasting. We need your help now as we only have funds to last through December. With the thousands of people who watch this channel, we only need 50 people to give $50 per month to pay our bills! Any additional funds will help us upgrade our equipment! 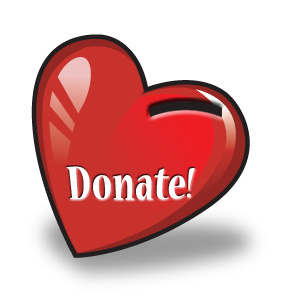 You may donate at our secure web site by clicking the “donate” button below or send your love gifts and prayer requests to: ALB, P.O. Box 299, Roseville, CA 95678. Remember, all gifts are tax deductible. We need to hear from you now so that this quality station can remain broadcasting. Thank you. Abundant Life Broadcasting, UHF Channel 27, is Sacramento area’s newest and perhaps last local television station. In 1994, a group of Christian volunteers from the Roseville area, led by Gordon Cox, had a dream of having a 24-hour a day Christian television station in Sacramento. They discovered there were no new permits, but if they could find an existing permit that was not being used, there was still hope. However, Cox found one permit issued that was not being used, but it was to expire in just a few months. A tower location needed to be found, engineering needed to be done, and $100,000 needed to be raised for a transmitter and antenna. It appeared the project was destined to bog down in red tape. The committee approached local Pastor Doug Batchelor, Senior Pastor of the Sacramento Central Seventh-day Adventist Church, who was already deeply involved in broadcasting both in Sacramento and nationally. Together, with renewed vigor, this group of local community volunteers, were able to raise the needed funding and get on the air one week before the construction permit expired. The new 2000 watt station is now transmitting from one of the 300 foot KFIA radio tower in Rocklin, California. “It has been reported that this signal reaches as far as Oroville in the North, South Sacramento, Folsom in the East and Vacaville to the West,” said Pastor Batchelor. Currently ALB 27 rebroadcasts the programming of Three Angels Broadcasting Network, a Christian satellite network based in Southern Illinois. Programs include music, Bible teaching, health lectures, history, educational programs for children and teens as well as local programming. 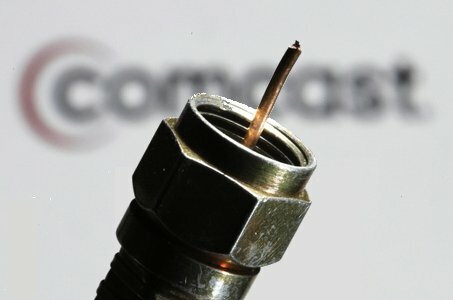 When these cable companies receive enough requests from their subscriber or others who would subscribe, they will add this new local station. If you would like to have the choice of 24-hour Christian programming, please send a letter to your cable carrier or COMCAST Cable, 4350 Pell Drive, Sacramento 95838 requesting ALB 27 be added to their channel options.